So, I went in. Wow – I felt like Charlie did from “Charlie and the Chocolate Factory,” when he walks into the factory and he’s amazed by the “Oompa Loompas” and the factory process. I had that same feeling of wonderment. This store was modern, bright and beautiful. Three levels to explore. They had everything from outdoor clothing, to camping gear, biking, hiking boots, skiing, travel maps, canoes — what am I missing? Oh, a tiny cafe too. We have REI, Cabela’s, and Bass Pro Shops as our “go to outdoor stores,” but this was unique. When trying on shoes they had different terrains to test them out. 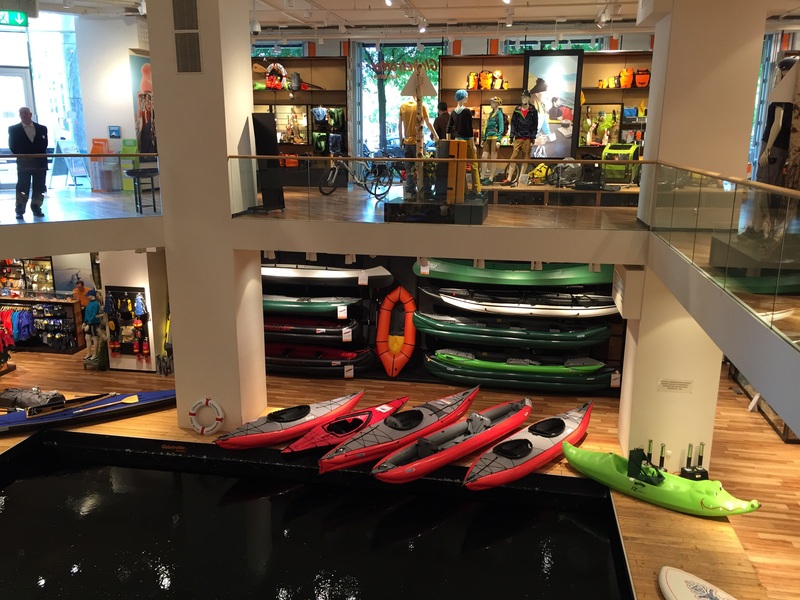 They had a pool on the ground floor, so you could try out your kayak. I got a kick out of this alligator one, great way to get a child involved in kayaking. You can try everything out. Before you buy the rain jacket, go into the rain chamber and see how it works OR test a jacket for warmth, go into the cold chamber, where it is minus 20 degrees. That’s great! 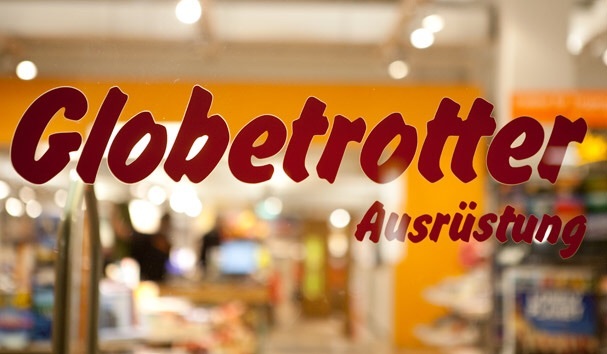 If you are an outdoor person, if you are traveling through Germany, I highly recommend adding this store to your list of “things to see.” I promise you, you will be like a kid in a candy store. If you’ve been there – post your recommendation. Would love to hear what YOU thought. OK — heading to Green Lake, canoeing races today! Love this posting! What a great place!! As usual, you write fabulously!! !